Scientists Confirm "Godzilla of Earths"
Scientists this week confirmed the discovery of a new "mega-Earth," known as Kepler-10c, which is said to contain an atmosphere and clouds potentially hospitable to life. The planet is thought to be as much as twice the size of Earth, and has actually come as a huge shock to scientists because planets of such size are typically composed of gas. But this so-called "Godzilla of Earths" breaks that mold, challenging our pre-conceived notions of planetary formation. Scientists first caught an early glimpse of Kepler-10c back in 2011, but not a good enough look to determine the planet's composition, only its size (30,000km wide). But during an American Astronomical Society summit on Monday, scientists presented new readings that suggested the planet is made of rock and water. Sounds plain and boring, but it's not unlike what you and I currently call home. Still, Kepler-10c is much different than life here on Earth: a year on the planet lasts only 45 Earth days, and the surface temperature is 590 degrees Fahrenheit (310 Celsius), so it's not exactly a vacation destination. But scientists believe cloud formations on the planet could cool the surface temperatures down considerably—maybe even enough to accommodate life. Of course, at 560 light years from Earth, visiting Kepler-10c isn't necessarily in our near-future; it would take approximately 10,000 years with existing technology. But it does help scientists further understand what's out in the deepest regions of space. Kepler-10c, according to scientists, actually has a neighbor, Kepler-10b, but that's a lot less hospitable. 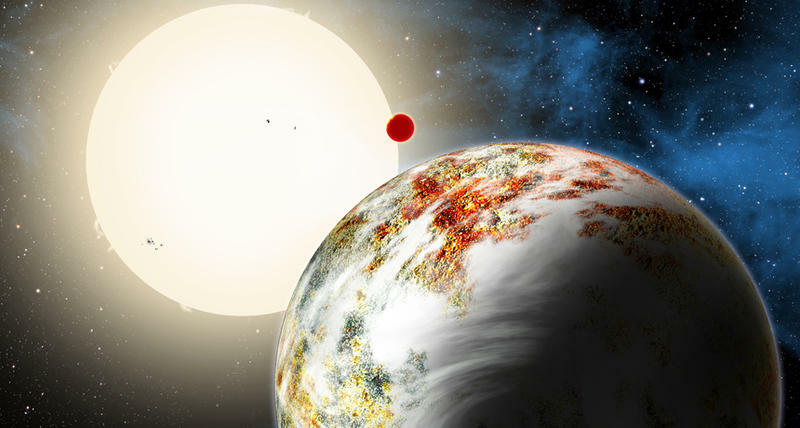 Much closer in proximity to its parent star, Kepler-10b is a lava world that orbits so fast that a new year occurs every 20 hours. Man, imagine how old you'd be by now with a new year unfolding so quickly. Congratulations on reaching your 2,000th birthday!